This service provides validation of compliance and achieves this by working with your staff to verify that the cardholder environment aligns with the requirements of the DSS. The key components of the validation assessment will be to evaluate the current scope of the environment, the current network architecture, the current payment application(s) and the associated policies and procedures that control the client’s cardholder environment. 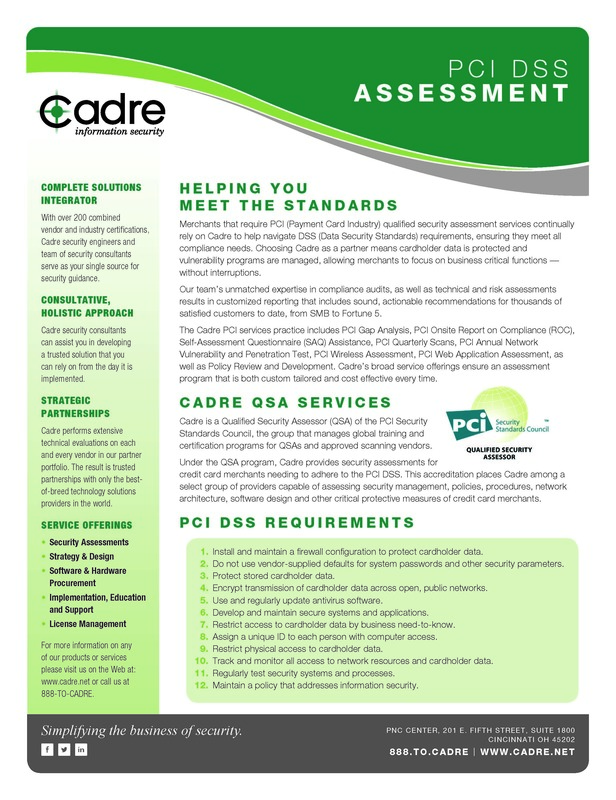 Using Cadre’s methodology, we will review the existing cardholder environment and determine if the current environment provides the best framework for the client to reach PCI DSS compliance based upon the current PCI Security Standards Council’s Security Audit Procedures.